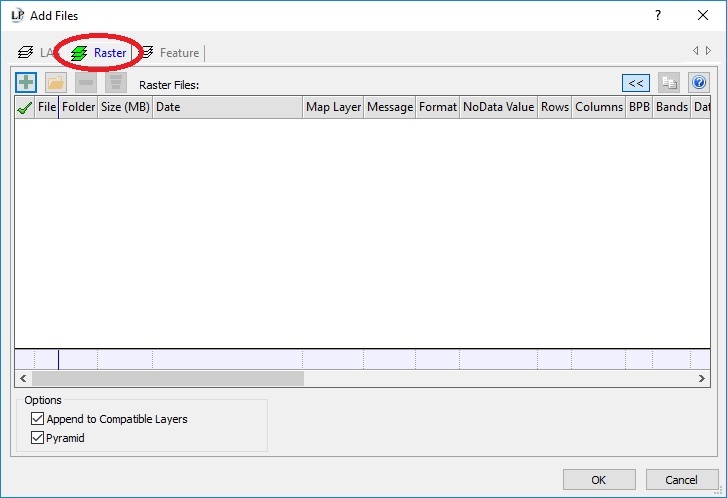 In the standalone version of LP360 one may add raster files using the ‘Raster Tab’ of the ‘Add Files’ dialog. Then navigate to the desired Raster file(s). This entry was posted in AirGon Tools, Tips and Workflows, LP360 Tools, Tips and Workflows and tagged DEM, image, raster.